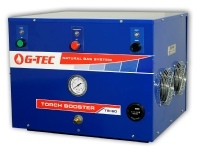 A G-TEC Natural Gas Pressure Booster might be just the equipment you need to supply high-pressure natural gas. If you can’t get the service you need from your gas utility and your pressure requirement is between 1-150 psi with a flow requirement under 500 scfh then we can do the job! 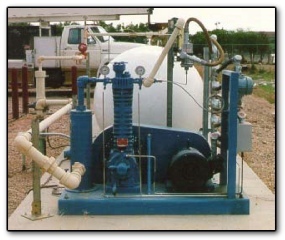 G-TEC Pressure Boosters have a small footprint and do not require expensive site preparation. 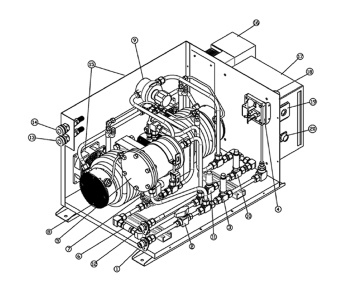 Compared to other natural gas compressors a G-TEC system can be installed indoors right at the point of use. No need to have an outdoor concrete pad and lengthy, expensive welded piping to bring high-pressure gas to your application. 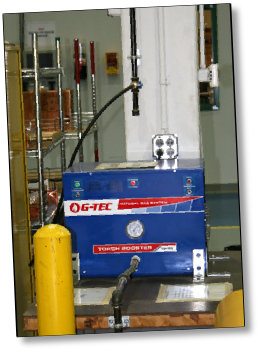 or many other applications then a G-TEC Pressure Booster might be the right solution. 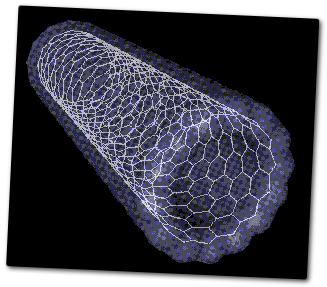 Fuel cell research, testing engines, nanotube manufacturing and many other technologies rely on high-pressure natural gas for product testing and development. 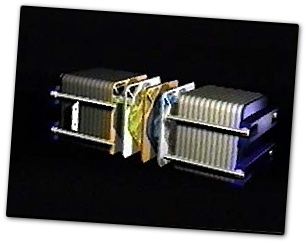 G-TEC Pressure Boosters are easy to connect to a standard low-pressure natural gas supply pipe. 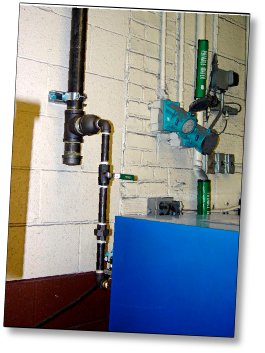 Our smaller systems connect to the gas pipe with a flexible hose that is provided as part of the system. Larger gas boosters use a hard pipe to connect to the gas line. Get installation instructions for all G-TEC systems here. for pressure up to 25 psi and flow up to 40 scfh. for pressure up to 25 psi and flow up to 150 scfh. Call G-TEC and we will help you select the right Pressure Booster for your natural gas needs. What is your natural gas volume requirement in cubic feet, cubic meters or BTU per hour? What natural gas pressure do you require? 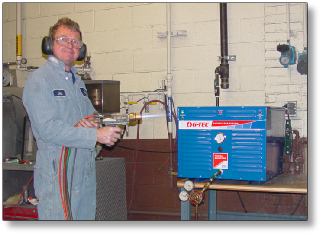 What is the duty cycle of your equipment - a few hours a day, 24x7 for weeks at a time?, something else? What is your natural gas supply pressure now? What size natural gas pipe is available to connect to? Is your application indoors or outdoors?